In an interview with a Palestinian newspaper, the president’s son-in-law revealed himself to be either strikingly naive — or deeply cynical. But the reality is that under present circumstances, with the current Israeli and Palestinian governments, at this point the two-state solution is itself a fantasy. Neither the Palestinian nor Israeli people, nor their leaders, are currently prepared for the compromises required for a deal, and accentuating this reality will only make things worse. Jared Kushner, it seems, is feeling optimistic. On Sunday [Jun 24, 2018], in his first-ever interview with a Palestinian newspaper, the US president’s son-in-law and Middle East peace envoy said that despite appearances to the contrary, “prospects for peace are very much alive” and confirmed that the administration is getting ready to release its long-awaited plan for Israeli-Palestinian peace. 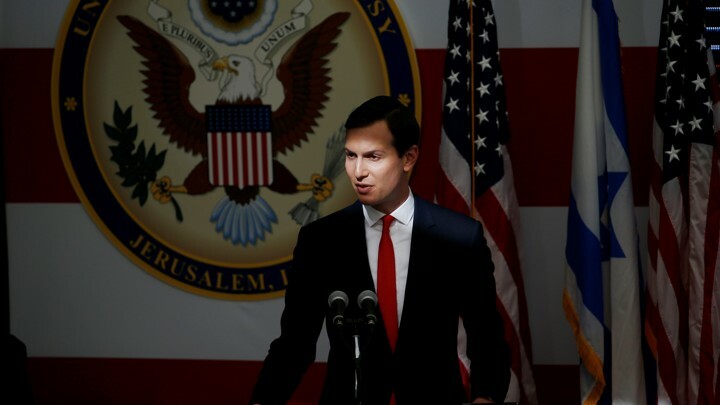 Asked how that plan is different from previous efforts, Kushner explained he has done “a lot of listening” and is convinced the Palestinian people are “less invested in the politicians’ talking points” than they are in seeing how a deal will improve their prospects for a better life. A simple, quiet act of gathering the children speaks volumes. …she had to bring her kids back to school and back to safety. We were monitoring the Salaymeh checkpoint on a cold morning. Two soldiers, fully armed and wearing masks, walked past the checkpoint and went up on the roof of an adjoining building. As children started making their way to school, the two soldiers came down and started moving towards the school area. Ofer, a settler who shows up daily at the checkpoint to harass children and human rights monitors, made his daily appearance. Suddenly 3 sound grenades were thrown close to a small group of boys that had gathered outside the school. Within seconds children started throwing stones and throwing back the sound grenade canisters at the soldiers. Things quickly escalated. School teachers and school principals were out on the streets. Then, to everyone’s surprise, live ammunition was fired, 5 shots were fired in the air. I could hear teachers and community members shouting in disbelief saying “ They have never fired live ammunition before”. One teacher had videotaped the scene and was replaying the video as proof that live ammunition was fired. Virginia taxpayers providing state funding for Israeli companies, politicized textbooks and fighting BDS. This coziness often borders on corruption and inevitably leads to abuses that do not serve the public interest, particularly as American citizens are quite openly promoting the interests of a foreign nation. While Araud has been characterized for his “bluntness,” he is a member of the Western political elite that has long shielded Israeli apartheid from scrutiny. This outcome has long been noted by many media outlets based on Kushner’s close ties to Israeli Prime Minister Benjamin Netanyahu; his family’s role in funding illegal West Bank settlements; and, more recently, statements made by those familiar with the negotiations and the fact that the Palestinians have refused to negotiate with Kushner’s team since the Trump administration decreed Jerusalem to be Israel’s capital in December 2017. Israel’s decision to deport the Human Rights Watch staffer is part of a broader effort to silence people speaking out for Palestinian rights. This decision could impact many international organizations like Oxfam, Amnesty International, the Carter Center, and Norwegian People’s Aid that advocate against Israel’s illegal settlement policy but do not formally endorse or engage in BDS. Earlier this week, an Israeli judge upheld a May 2017 Israeli government decision to deport Omar Shakir, Human Rights Watch Israel and Palestine director. Last year, the Israeli government revoked Omar’s visa after producing a dossier on him going back 10 years to his time as an undergraduate student and before he worked for HRW. The dossier alleged that Omar was biased and that he had supported boycott, divestment, and sanctions (BDS) actions as a student. It’s important to note that HRW does not support BDS. When Omar was first targeted by the Israeli government, HRW made a point of saying that the decision was not a sweeping targeting of the organization itself. But Israel’s legal response in defending its revocation of Omar’s visa pointed to HRW reports on illegal Israeli settlements and possible violations of international law by corporations doing business in settlements. Israel argued that HRW reports on violations by companies like AirBnB that operate in illegal settlements effectively equate to support for BDS. The Trump administration bars a critic of Israel from returning to America. 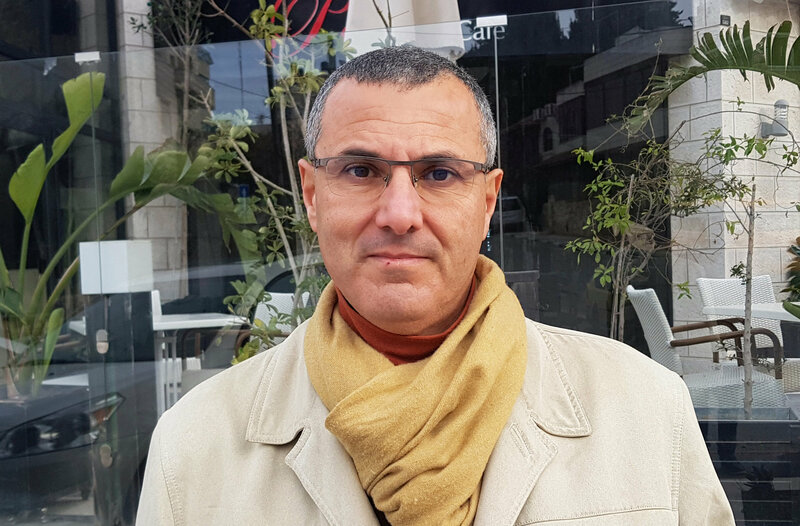 The Palestinian activist Omar Barghouti, one of the founders of the boycott, divestment and sanctions movement, was supposed to be on a speaking tour of the United States this week, with stops at NYU’s Washington campus and at Harvard. He was going to attend his daughter’s wedding in Texas. 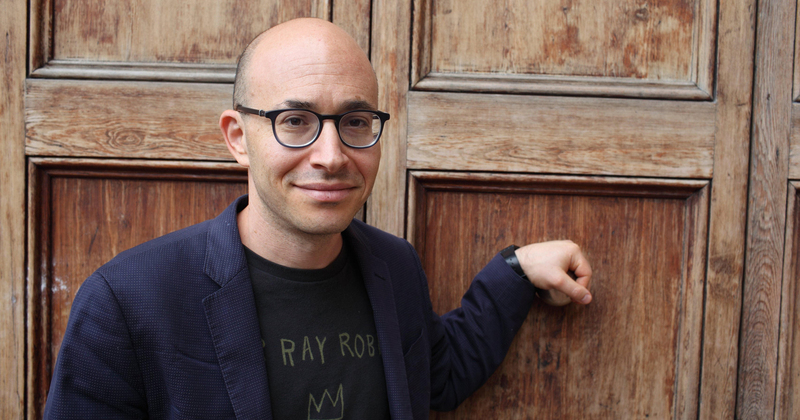 I had plans to interview him for “The Argument,” the debate podcast that I co-host, about BDS, the controversial campaign to make Israel pay an economic and cultural price for its treatment of the Palestinians. Yet when Barghouti, a permanent resident of Israel, showed up for his flight from Israel’s Ben Gurion International Airport last week, he was informed that the United States was denying him entry. When I spoke to him on Sunday, he still didn’t know exactly why the country where he went to college and lived for many years wasn’t letting him in, but he assumed it was because of his political views. If that’s the case, Barghouti said, it was the first time someone has been barred from America for BDS advocacy. He has proceeded with his public events, but he’s been appearing at them via Skype. Withdrawal of aid may be a sign of things to come. 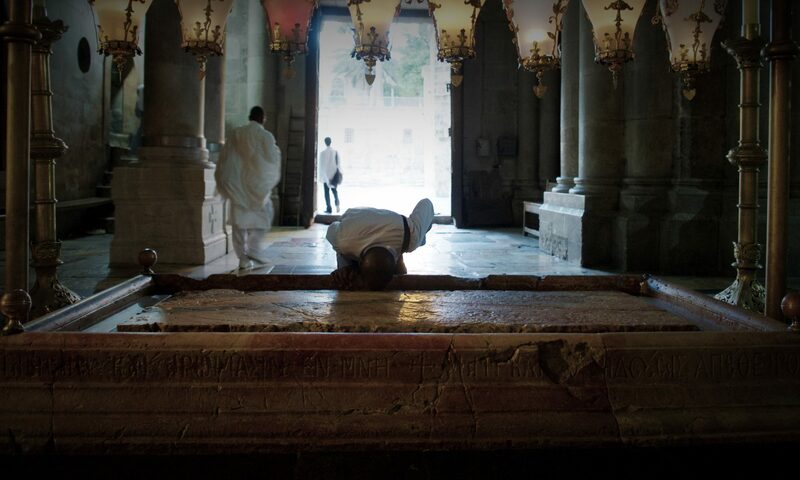 …the majority of the staff to be laid off are Palestinians from the occupied territories and Palestinian citizens of Israel, while a smaller number are Jewish Israelis. 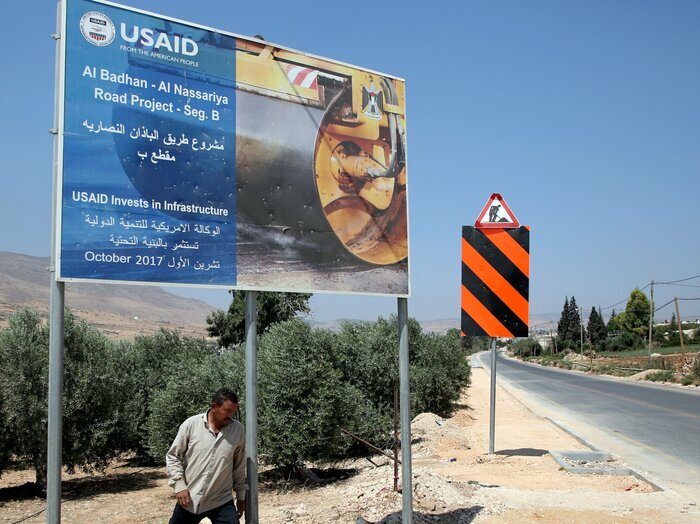 In the latest blow dealt by the American government to the Palestinians, the United States Agency for International Development (USAID), which was responsible for millions of dollars of aid projects in the occupied Palestinian territory, will be laying off some 85% of its local staff in the coming weeks. A Thursday report from NPR citing U.S. government communications speculated that the Trump administration ordered the job cuts as part of the lead up to unveiling its peace plan, which is set to be released in the coming months. We thank Ilhan Omar for having the bravery to shake up the congressional taboo against criticizing Israel. As Jews with a long tradition of social justice and anti-racism, AIPAC does not represent us. Ilhan Omar’s tweets signaled that the conversation about Israel is changing, as disadvantaged American minorities, including blacks and Muslims, overcome a range of inhibitions — including the fear of being called anti-Semitic — and begin to speak frankly on the Israel/Palestine question. A significant portion of the anti-occupation movement in the US is Jewish, notably the group Jewish Voice for Peace, staunch supporters of BDS. [It] is only partly right to say that diaspora Judaism has ceased to supply the West with a critical conscience. Israel’s legislative elections on 9 April were a tribute to Binyamin Netanyahu’s transformation of the political landscape.​ At no point were they discussed in terms of which candidates might be persuaded by (non-existent) American pressure, or the “international community,” to end the occupation. This time it was a question of which party leader could be trusted by Israeli Jews — Palestinian citizens of Israel are now officially second-class — to manage the occupation, and to expedite the various tasks that the Jewish state has mastered: killing Gazans, bulldozing homes, combatting the scourge of BDS, and conflating anti-Zionism with anti-Semitism. With his promise to annex the West Bank, Netanyahu had won even before the election was held. It wasn’t simply Trump’s recognition of Israeli sovereignty over the Golan Heights that sped the incumbent on his way; it was the nature of the conversation — and the fact that the leader of the opposition was Benny Gantz, the IDF commander who presided over the 2014 “Operation Protection Edge,” in which more than 2,000 Gazans were killed.